Laparoscopic sleeve gastrectomy is a type of weight loss surgery in which a majority of the stomach is removed. 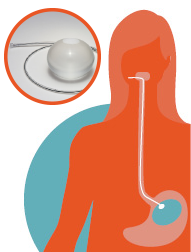 The portion of the stomach that remains forms a long tube (or “sleeve”) between the esophagus and the small intestine. 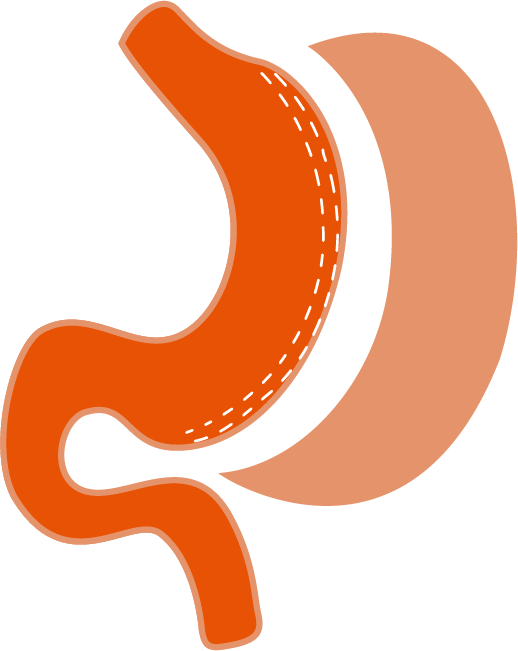 A sleeve gastrectomy is a simpler surgery than gastric bypass because no portion of the intestinal tract is bypassed. Laparoscopic sleeve gastrectomy helps patients lose weight primarily by reducing the amount of food that can be consumed at one time. This allows patients to feel full after smaller meals and reduces the overall number of calories in their diet. In addition, sleeve gastrectomy patients lose weight because fewer hunger hormones can be created by the remaining portion of their stomach. Sleeve gastrectomy at The Oregon Clinic is performed laparoscopically, which means a small incision is made and surgery is done through the aid of a tiny video camera. Laparoscopic surgery, as opposed to traditional open surgery, results in reduced recovery times and minimal scarring. Our team of experts can explain what you should expect for this procedure. Please call (503) 281-0561 to request an appointment. Our team of experts can answer any questions you may have about this procedure. Please call (503) 281-0561 to request an appointment. Our team of experts can provide you with resources about this procedure. Please call (503) 281-0561 to request an appointment.